Are you struggling to raise your search engine optimization? All without seeing the results you wanted? This rarely-used SEO hack will help bring you a ton more traffic without a lot of additional work. You don’t have to log into your website or WordPress. In fact, you can accomplish this simple little hack in just a few minutes! Even better, this is a hack that only a few people are using—so make sure you jump in and start using it before everyone jumps on. Don’t miss out on this great opportunity! Google’s algorithm is designed to give the traffic to the best result across the web. They want people to be able to jump on and find exactly what they’re looking for. If you want to increase traffic to your website—which is the general goal of SEO optimization—then you have to be able to provide the best possible website. In order to tell Google that you’re the best website, you’re going to have to put in the work. Like the example in our video, you need to be blogging. You need to be publishing that content. If you’re a photographer, you need to put up those pictures and make sure they have the right tags. However, there’s a simple little hack that can help take you that important extra mile and ensure that you aren’t missing out on anything. Take a look at the rankings for Google Maps. As a photographer, you are a local business. That means that you’ve got to show up in the Maps results. This is a key area for SEO. What do you need? Get those reviews. How many reviews do you have for your business? Ideally, you want to have more reviews than your competitors—preferably good ones. 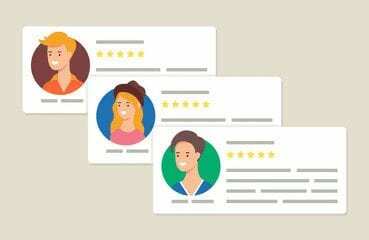 Customers now view online reviews, especially those that aren’t anonymous, as being just as relevant as reviews and recommendations they would get from friends and family members in person. Ask satisfied customers to leave those reviews! You may even want to consider offering a little extra incentive—a discount, for example—for customers who are willing to provide you with reviews for your business. How do you get those reviews? Automate it! Make sure that every time you have a shoot, you ask your customers for those reviews. Satisfied customers will be glad to share their opinion of your business. Keep up with your Google My Business listing. We’ll go into more detail with that down below. One of the most important things to keep in mind, however, is that you must claim your Google My Business listing and keep it updated. This means having accurate phone numbers, an accurate website, and an accurate address. When people look for photographers, they’re usually looking for someone who is local and convenient. Not only that, they want to see great reviews from as many people as possible. Check your domain authority. Domain authority isn’t an exact science, but when you have a high domain authority, you’re more likely to show up in those key top search results. Keep an eye on your domain authority and take the right steps to increase it as much as possible. Have you claimed your Google My Business page? Google My Business is the local listing for your business. 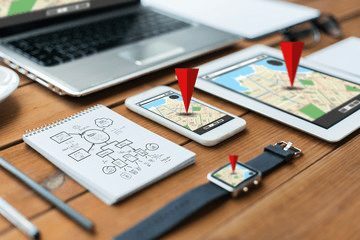 It’s the listing that shows up in Google Maps: the one with your address, your phone number, and your website, as well as a connection to your reviews. Are you using it to full advantage? Step One: Go into Google and type in “Google My Business.” Simple enough, right? Log in and check out your business. Step Two: Start filling out all of the information. You have 755 words to describe your business. Use them! This isn’t about stuffing it full of keywords. Instead, you want to create dynamic, engaging content that genuinely expresses who you are as a business. Get personal. Share what you’re all about. The more information you put in, the more attractive your business becomes. That doesn’t mean that you have to use every single word available to you, but it does mean that you should create a dynamic, engaging description. Make it so that a human would want to work with you! Think about what you look for when you’re thinking about connecting with a business. What do you want to know about the business? Imagine your client persona. What are they looking for? Provide those key details. Google’s algorithm is complex and hard to navigate, but this is one simple element: all you have to do is provide the information that your clients most need from you. Step Three: Add those services. Make sure that you include all the services you offer. Add more content. Make it richer, more interesting, to people who are considering your services. If you do weddings, for example, you might add “weddings, engagements, bridal.” This isn’t keyword stuffing. Rather, it’s going to help tell Google exactly what you’re going to do. You can divide it into sections. You can put together those details. Add all the different services you offer: the key factors that people may look for when they’re choosing a photographer. Step Four: Post on your page. Go grab your blog, get the first 1500 words, and put it on your Google My Business page. If you’re already blogging, this doesn’t take any additional effort! Create a post for all of your blogs. Step Five: Fill out every spot available. If there’s a question, provide the answer. If there’s information, make sure that you’re giving it. You know these answers. It takes minutes. I can’t give you the exact words; rather, you need to fill them out with the information that is most relevant to your business. Step Six: Put in all the pictures. Put in a headshot of you. Grab a shot of your studio. Put in all the picture options. You want to be sure that you’re offering those important images. 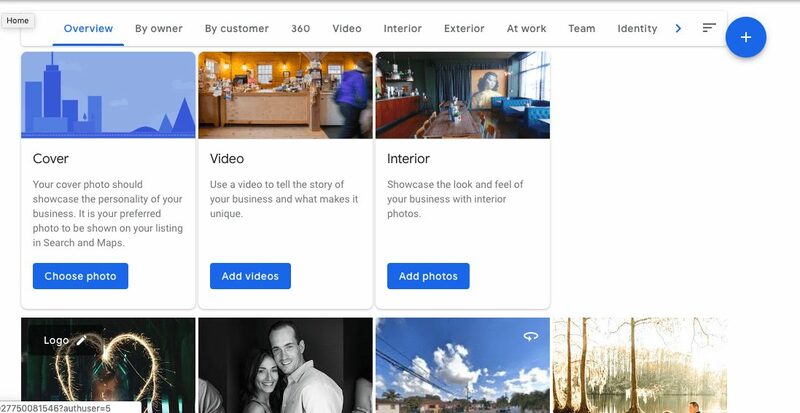 The more pictures you offer, the greater the likelihood that customers are going to choose your business. Don’t forget about the reviews! Ask every single past client and future client for Google Reviews. I suggest aiming for twice as many as your closest competitor. For people who are on mobile, Maps is one of the most important elements. It’s the first thing that they see when they perform a new search. It’s one of the most-clicked areas. You don’t want to miss out on being on the Google Maps listing, in that coveted top three—and ideally, you want to be in the number one spot. 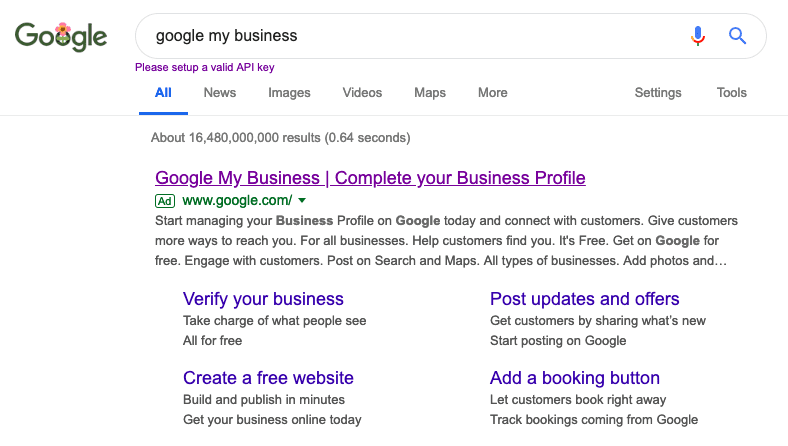 With this simple strategy, by providing as much information as possible on the Google My Business listing, you can transform your search ranking and make it easier for potential clients to find you—all without even having to log into your website. It’s one of the easiest strategies you’ll ever use. 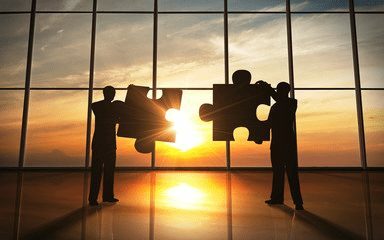 Remember, marketing is about partnership and alliances. You can’t rely on SEO alone. Passive searches will help bring in some website traffic, but you may discover that people just aren’t searching for the kind of photography you’re doing, especially if you aren’t in a high-traffic area. 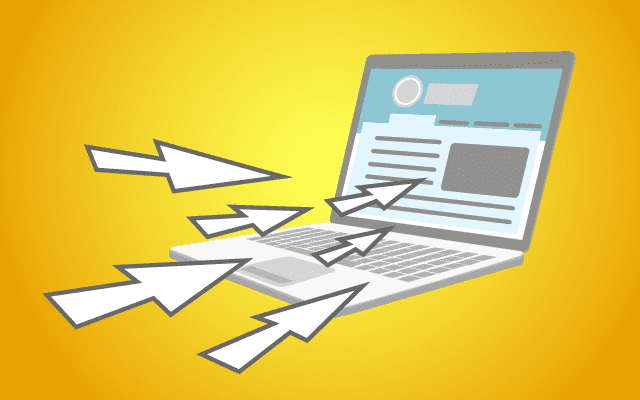 If you aren’t getting enough search traffic, try some of these strategies. Increase your Facebook Ads. Heavily personalize your Facebook Ads and make sure that they’re getting in front of the right people. 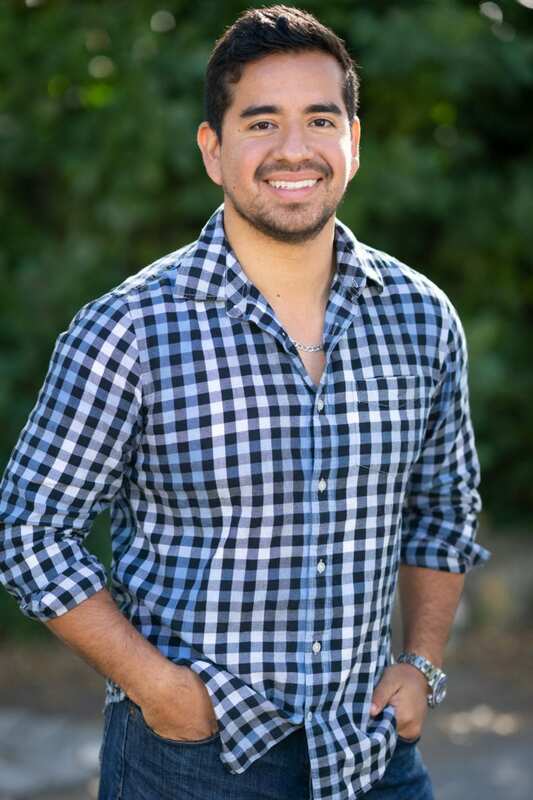 You want to provide Facebook Ads that increase your overall traffic and convince people who never even imagined that they were interested in your business that they want to check out what you have to offer. Build a fantastic website. Your website is one of the best marketing tools you have as a photographer. It’s a great place to show off exactly what you can accomplish and let potential clients see more of your work. You don’t want a website that you’re ashamed for people to see! Encourage clients to share their experience with others. Word of mouth marketing is still alive and well—and you can take full advantage of it. Gather those key reviews from your clients, then encourage them to share with others. This may be some of the best business you get! Not only will these clients come in knowing what you can offer, they’ll have a great opinion of your business already—and your previous satisfied client may have already convinced they of something they never knew they needed. Are you ready to start improving your search ranking or to better connect with your clients? We can help! Check out The 7 Step System to Increasing Your Bookings Over the Phone or visit this page to learn more about how to book photography clients over the phone in less than an hour.